This contemporary coffee table will be an eye-catching addition to your living room. 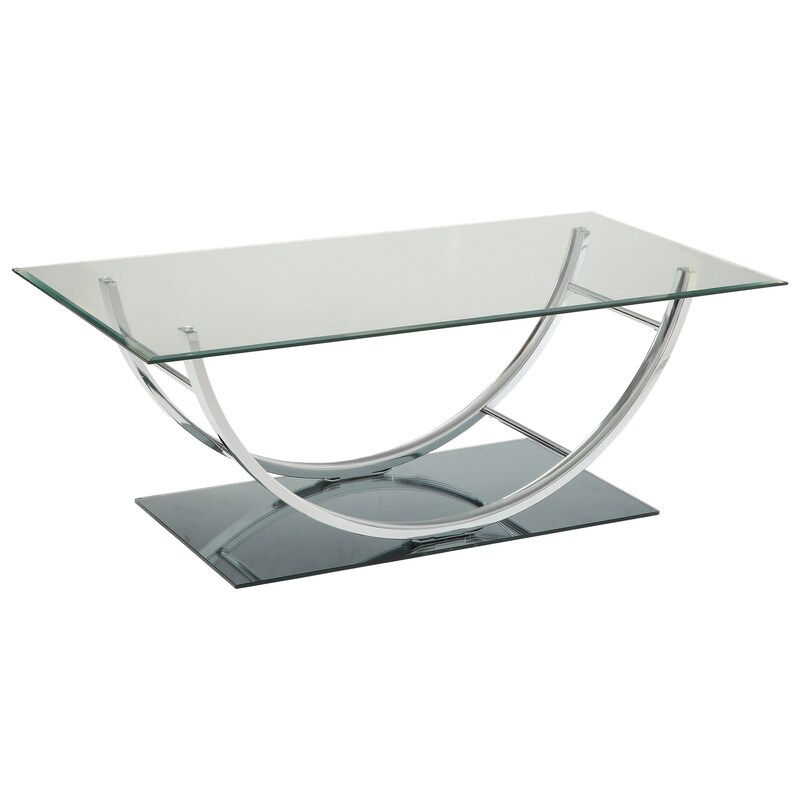 The ultra-modern design has a reflective U-shaped base made of chrome, supporting a beveled glass top. 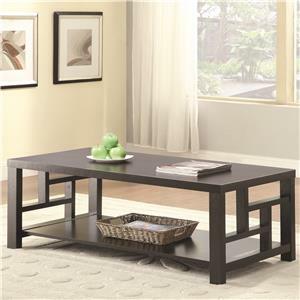 The 704980 U-Shaped Contemporary Coffee Table by Coaster at Rife's Home Furniture in the Eugene, Springfield, Albany, Coos Bay, Corvallis, Roseburg, Oregon area. Product availability may vary. Contact us for the most current availability on this product.